MX Sports is pleased to announce the American Motocross Championships for the 2018 season. The American Motocross Championships were formed in 2013, and consist of five premier amateur racing events across the United States, providing vertical integration from the youngest of competitors to the top level of professional racing, all the way back to the Vet levels. This select group of events begins March 11 and 12 with the 9th Annual Ricky Carmichael Daytona Amateur Supercross (RCSX) in Daytona Beach, Florida. 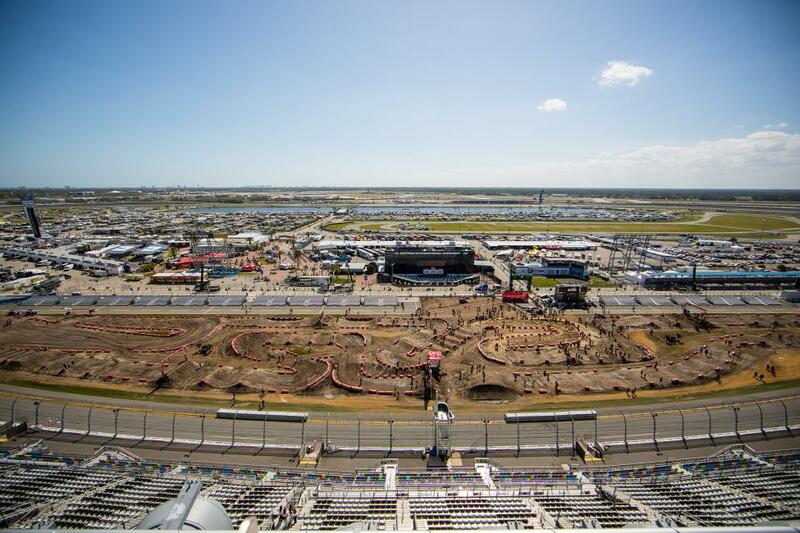 Taking place in conjunction with Daytona Beach’s “Bike Week” and festivities, RCSX will take center stage at the World Center of Racing, Daytona International Speedway, just one day after the Daytona Supercross. In addition, the Women’s Professional Motocross (WMX) series will kick off in conjunction with the first round of the American Motocross Championships. The series then travels west for the Freestone JS7 Spring Championship March 19-24, the Monster Energy Mammoth Motocross June 15-24, followed by the granddaddy of them all - the Rocky Mountain ATV/MC AMA Amateur National Motocross Championship at Loretta Lynn’s, presented by Lucas Oil - the first week of August, and concluding with the historical Thor Winter Olympics over Thanksgiving. 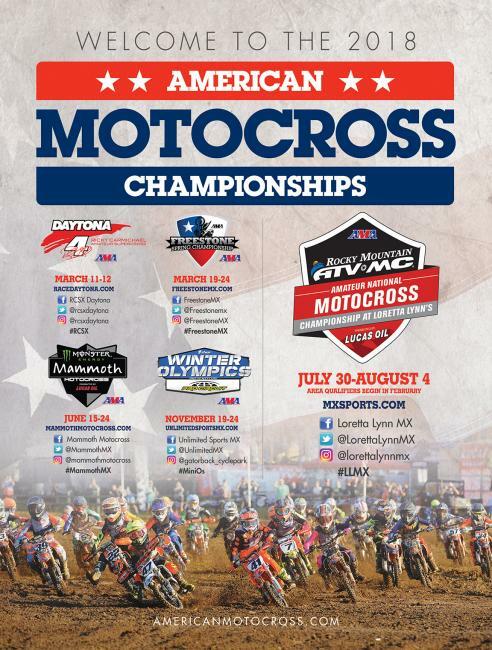 The American Motocross Championships is made up of an elite group of events and race promoters that aim to work together, along with the American Motorcyclist Association (AMA), to develop best practices for amateur racing. This alliance affords the opportunity to create a common voice through the sharing of information in order to develop event safety protocol, standardized class structure, scoring and rules, while providing calendar and geographic balance throughout the year. The group of race promoters meet annually with industry stakeholders to develop those practices, and continue to support one another throughout the race season. For more information, please visit www.americanmotocross.com.